Kingdom Hearts 3D Gets a Special Hardware. Release Date, Too. Kingdom Hearts 3D: Dream Drop Distance will be out March 29 in Japan. 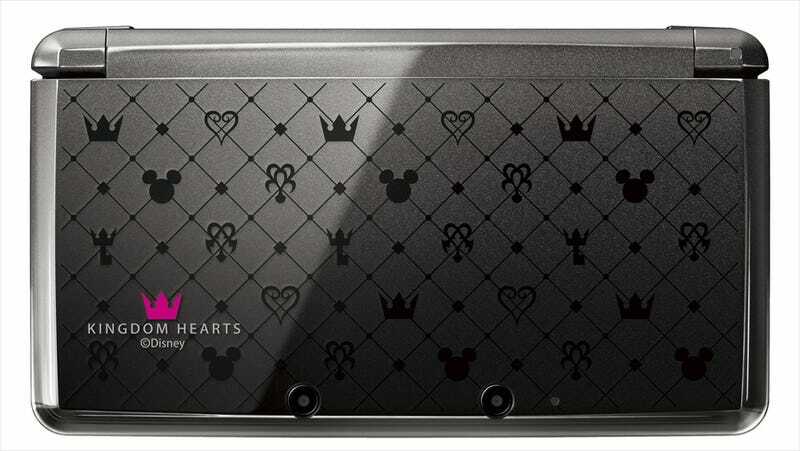 There will be a special Kingdom Hearts 3DS handheld. While I like the monogram, I'm not a fan with the Kingdom Hearts text or the stupid Disney copyright. The Dream Drop Distance 3DS comes bundled with a copy of the game. Pricing is currently TBA.